The ordering question type is ideal for assessments where you’d like students to place items or events in order. 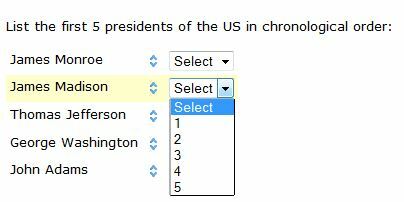 Students use numeric drop-downs to order the items (or drag and drop, via the up / down blue arrows), as in the following example. 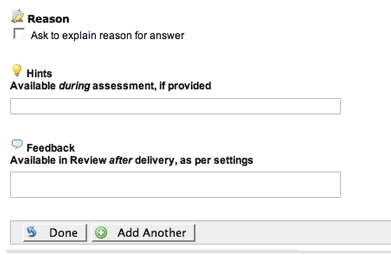 To add this question type, select “Ordering” when adding a question in an assessment or a pool. Then, enter the items or events in the boxes in the right order. Your default order here is your answer key! (You can change the order of the items at any time by using the drop-down menus to the left of each item). If you need more items than the default, select however many additional ones you want by using the Add More Items drop-down menu. 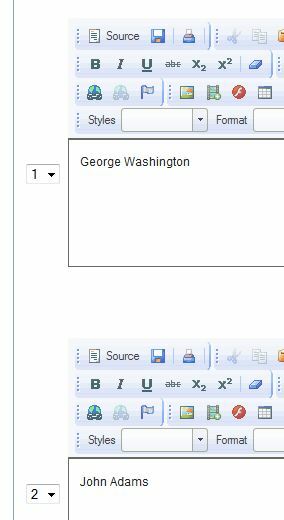 You can delete an item by clicking on the Delete link to the right of the item.